Victorian Inn i New York, USA: Reservér nu! 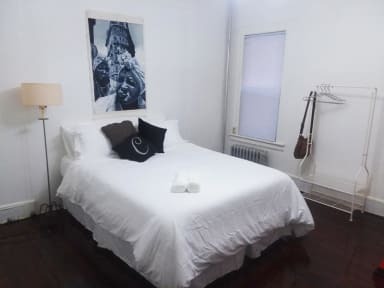 The Victorian Inn is a newly renovated 19th Century Guest House located in the heart of East Flatbush, Brooklyn. Your hosts assure that the property is meticulously kept and that all guests are safe and comfortable. Free wifi is available onsite. There is also a small kitchenette area with a large refrigerator, Krueig and microwave. Our sunny private rooms are super clean and thoughtfully decorated with new 12 inch mattresses, fresh linens and all essentials amenities. The guest rooms are located on the first floor of the house along with a shared a full bath. Clean towels and linens are provided for all guests and changed weekly during long-term stays. An electronic door code is provided upon arrival so that guests may move about independently. 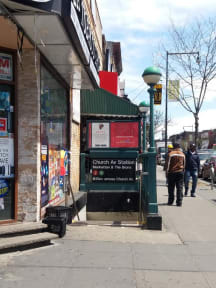 The property is centrally located approx 4 blocks from the 2/5 subway lines making for quick and easy commutes throughout Brooklyn and Manhattan. There are abundant eateries, shops and restaurants in the area.